1005 N Towner Street, Santa Ana, CA 92703 (#300968970) :: Ascent Real Estate, Inc. Welcome to 1005 N. Towner, a traditional bungalow on a lovely tree-lined street. Walk through the front gate and follow the lavendar & rosemary path to the front door. As you enter, it is hard to miss the gleaming hardwood floors, the smooth curved corners, and the solid plaster construction. You will be "wowed" at the size of the living room, and note that ALL the rooms are extra large. 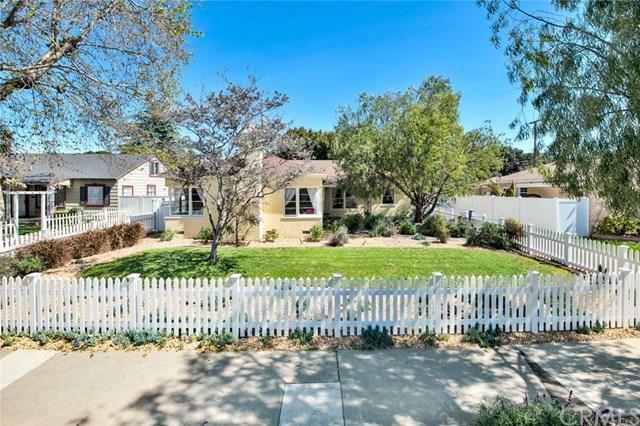 This amazing home has also been tastefully upgraded. 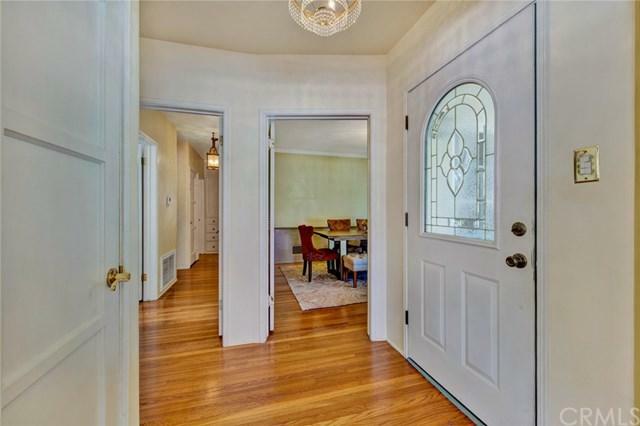 The kitchen is remodeled with sculpted wood cabinets reminiscent o Welcome to 1005 N. Towner, a traditional bungalow on a lovely tree-lined street. Walk through the front gate and follow the lavendar & rosemary path to the front door. As you enter, it is hard to miss the gleaming hardwood floors, the smooth curved corners, and the solid plaster construction. You will be "wowed" at the size of the living room, and note that ALL the rooms are extra large. 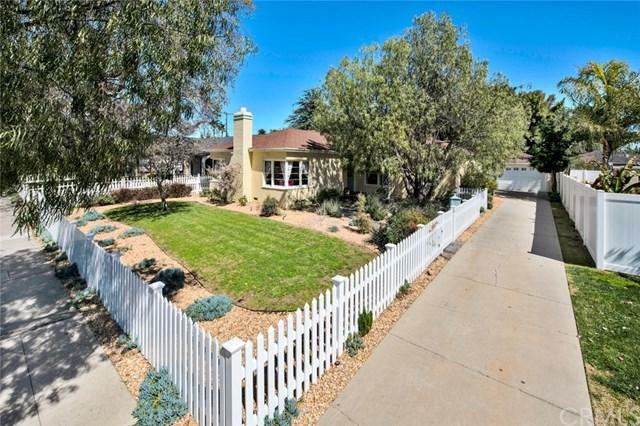 This amazing home has also been tastefully upgraded. The kitchen is remodeled with sculpted wood cabinets reminiscent of the art deco age in which the home was built. There are glass front cabinet doors and newer appliances. Central air & heat system is new, as is the vinyl fencing, low maintenance landscaping and Malibu lighting. There are gentle cross breezes from the many windows through out. Other considerations include the large wood-burning fireplace, a utility basement, plenty of storage in the attic, original windows and doors. 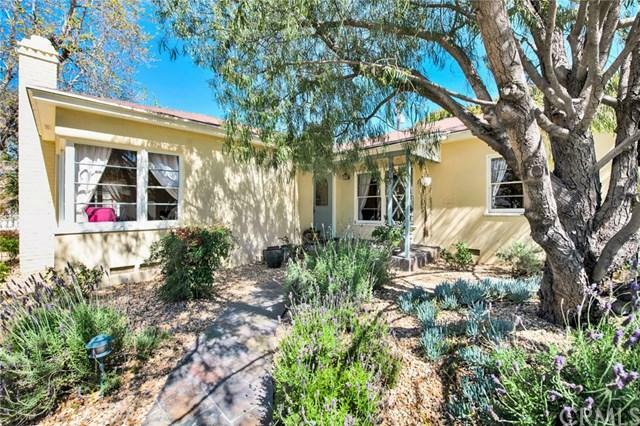 Home is located in one of the most eclectic neighborhoods in Santa Ana--Washington Square. It is centrally located in walking distance to Santa Ana College, Orange County High School of the Arts, shopping, Downtown Santa Ana and the Metrolink/Amtrak terminal. It is a short drive to South Coast Plaza and close to major freeways (5, 55, 22, 57).